I’ve made ribs so many times over the last year in my Sous Vide Supreme. I’ve cooked them for 24hrs, 48hr and 36hrs. I’ve added fancy marinades, prepared BBQ sauces and dry rubs. I’ve served them with chips, with coconut rice or my favourite way with tortilla wraps and a huge salad. 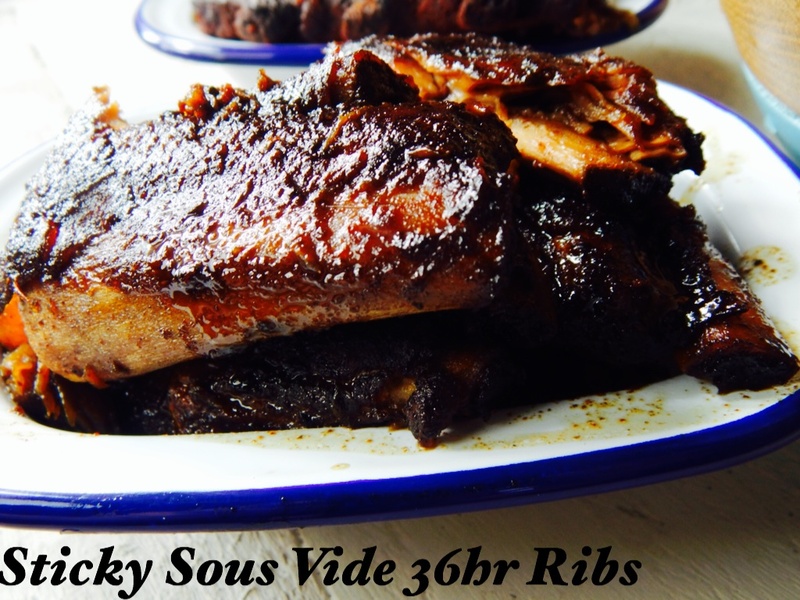 This is my favourite,incredibly simple way of cooking ribs in the Sous Vide. Just three ingredients, rubbed in and left in the water bath for 36hrs before a quick burst in the oven to make the sauce extra sticky. Cooking the ribs in the Sous Vide does something rather special to the meat. It falls off the bone and is incredibly tender and moist. I’ve made these for my parents and my Dad who really does not like ribs LOVES these. I urge you to give this recipe a go. 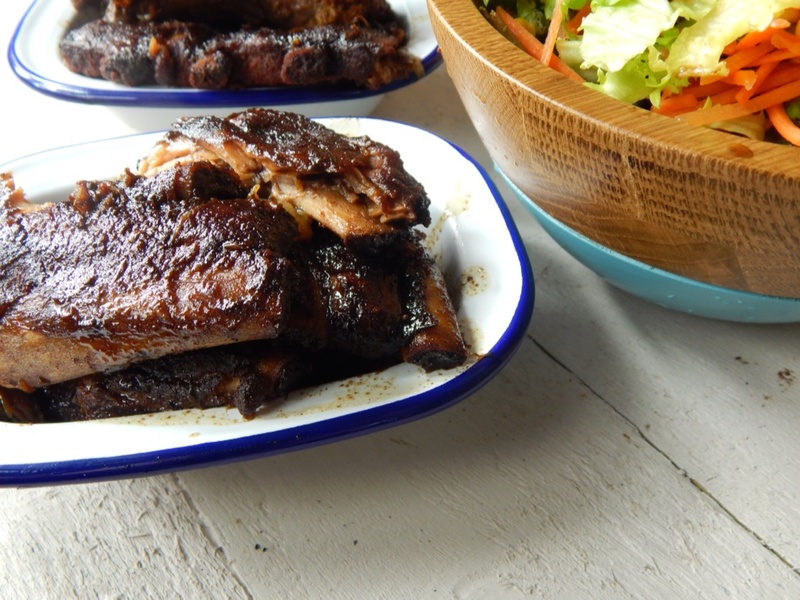 It’s worth buying a Sous Vide to only ever cook ribs in. Honestly. Combine the sugar and paprika and rub well into the ribs. Vacuum seal the ribs and place in a water bath preheated to 80C. Leave for 36 hrs before removing and placing ( gently ) into an roasting tray along with half of the juices. Cook in a very hot oven for approximately 15 minutes until the sauce had become dark and sticky. Serve immediately. * I was gifted a Sous Vide Supreme last year for the purpose of a review. Vacuum sealed and ready to go in… Smell is amazing already. Can’t wait to taste them!